ARs are notorious for collecting brass shavings, powder residue, debris, oil, grease, and solvents in the barrel extension, upper & lower receiver, and trigger group. 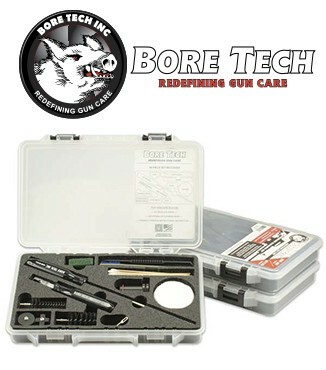 This accumulation of debris can cause operational malfunctions and increase wear on your bolt, bolt carrier, trigger group, and receiver. In the past, these areas have been difficult or impossible to properly clean. Not anymore! 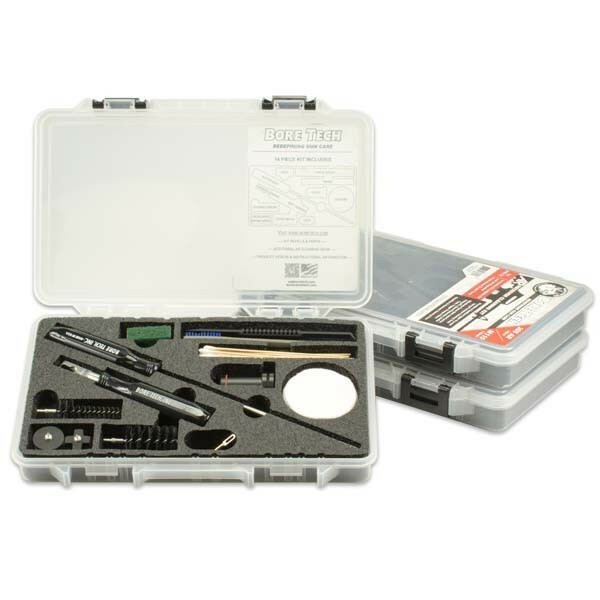 The AR Complete Receiver Cleaning Kits were designed to provide all the necessary, best performing, professional grade tools in a single convenient easy to use kit. 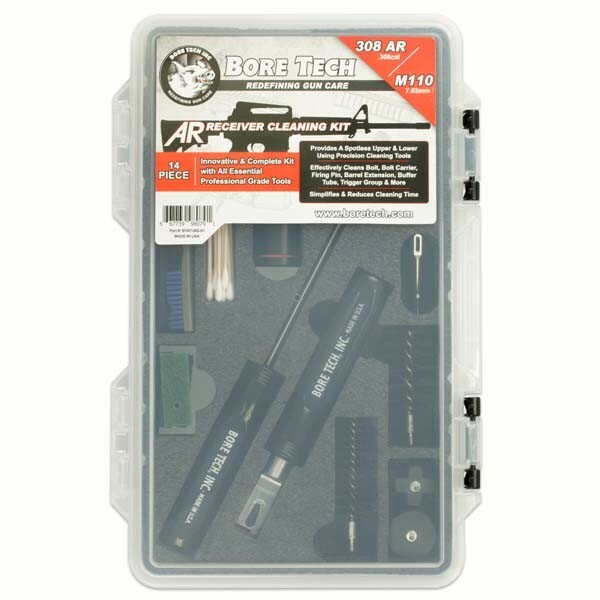 The unique AR Receiver Cleaning Kitcenters around the exclusive, patent pending cross shaped Barrel Extension Wiper, circular shaped Upper Receiver Wiper and the multipurpose Bolt and Carrier Cleaning Tool. The cross shaped Barrel Extension Wiper eliminates clumsy dental rolls and ineffective felts that fall off, barely clean, and pack full of fouling rending them useless. 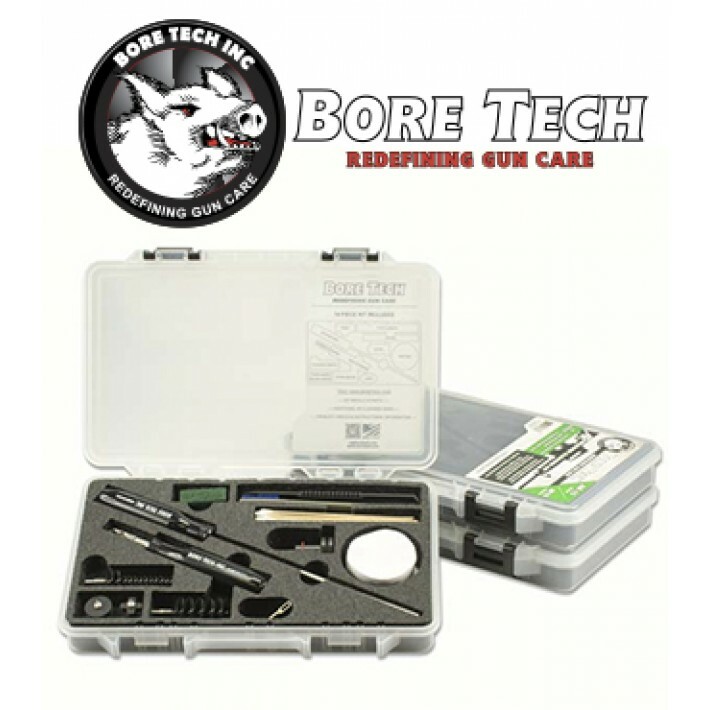 With Bore Tech’s Barrel Extension Wiper, simply spike a patch over the wiper and observe how the flexible rubber fingers compress as they pass through the locking lugs and spring open once inside the barrel extension providing a thorough and complete cleaning. The same principle is utilized with the circular shaped Upper Receiver Wiper. Spike a patch over the wiper and watch how it perfectly conforms to the receiver walls for a thorough and complete cleaning every time. 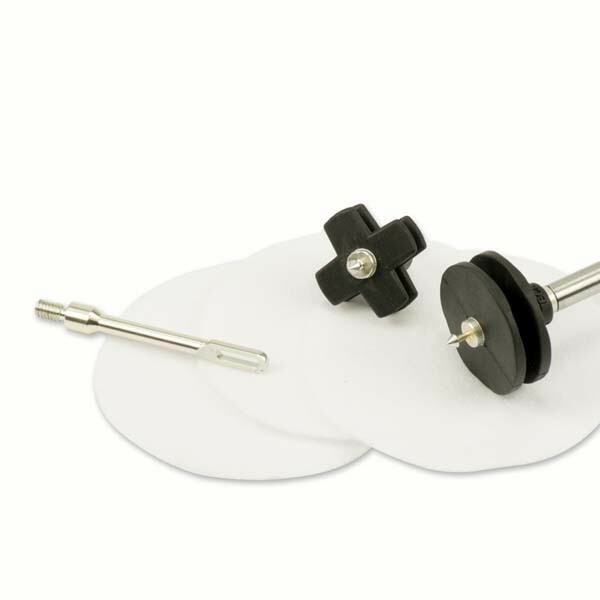 The multipurpose Bolt and Carrier Cleaning Tool can handle everything from extreme fouling to light cleanings. The frontend of the tool focuses on the stubborn carbon buildup inside of the carrier while the backend focuses on the carbon buildup found on the bolt tail. Two professional cleaning tools in one easy to use, ergonomic handle. 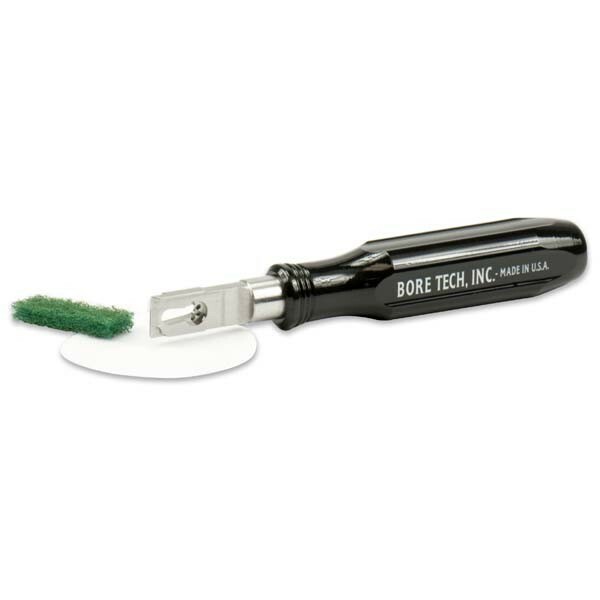 Use the frontend of the Bolt and Carrier Cleaning Tool to loosen the bulk carbon with the 100% safe Carrier Scraper. Then loop the provided green cleaning pads through the tool and use them inside the carrier to perfectly clean away any remaining carbon. Dry the carrier following the same steps with the provided patches. 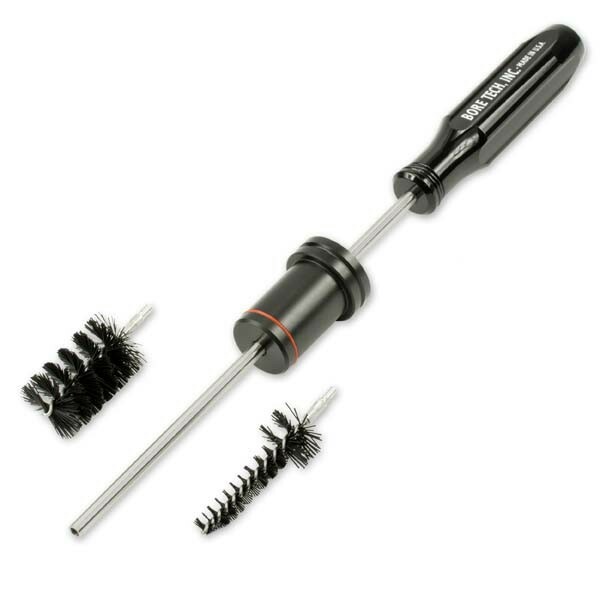 The tool also features an incorporated firing pin scraper for removing the fouling under the firing pin retaining ring. The same detailed cleaning technique is applied to the backend of the Bolt and Carrier Cleaning Tool. The integrated, 100% safe bolt tail scraper easily removes stubborn carbon fouling. 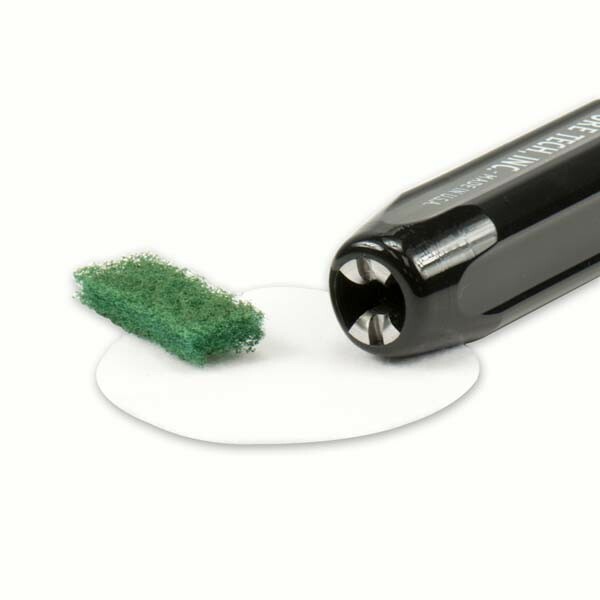 Then follow with the provided green cleaning pads for a perfect cleaning. Finally dry with patches in the same fashion and you are done. It is that easy!